Do the same old routine at the gym long enough, and you'll stop seeing gains. To keep growing, try these 3 techniques to provide your muscles with an entirely new training stimulus! It's the standard approach to weight training: Show up at the gym. Do a handful of exercises for one body part. Perform 3-4 sets of 8-10 reps, per exercise. Move on to the next exercise. You may actually get decent results with that approach to building muscle—at least for a while. But what happens when the gains stop coming? Let's take a look at three ways you can modify your training structure for great results today as well as sustainable long-term gains. In resistance training, a pyramid is a workout structure for arranging the sets, reps, and weight for an exercise. It entails starting out light and stepping up the poundage on successive sets. As you add more weight, the number of reps you do drops. The ascending pyramid builds in progressively heavier warm-up sets. Even when you're sufficiently warmed up, you continue with the step-up approach with incremental weight additions rather than going right up to your working weight. This type of pyramid means you'll be taking only your last set to muscle failure. It's tempting to take fairly heavy sets to muscle failure as you go up in weight, but don't. Your strength may be slightly compromised on the heavier sets that follow. When following an ascending pyramid and increasing the weight on successive sets, you ultimately do a lot of sets, ensuring that you do a high volume of work, which is ideal for building muscle. This structure works great for powerlifters and other strength athletes who normally don't train to failure the way bodybuilders do. This step-up approach allows them to generate maximal force on those last one or two sets, when they need to move the heaviest weights. If you're already doing ascending pyramids, try reverse or descending pyramids. After a few warm-ups, go right to your heaviest weight, so there's almost no step-up. 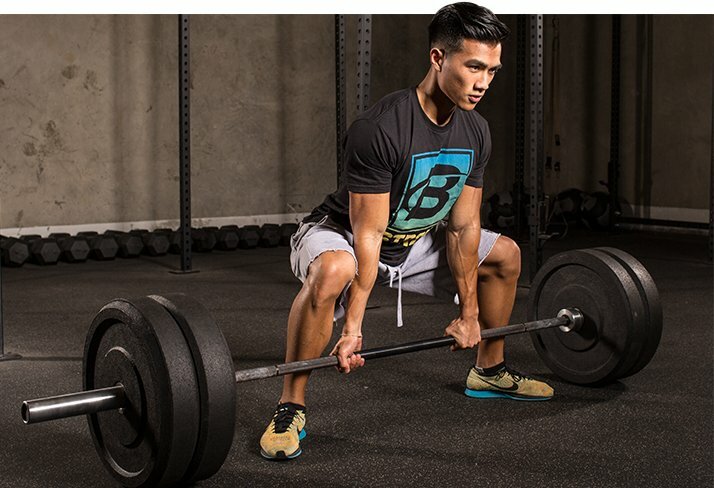 Start out with your heaviest weights for your target rep range. On the sets that follow, decrease the load slightly to account for accumulated fatigue. When following a reverse pyramid, attack your heaviest sets early, before you're too fatigued to handle them. This is ideal when training for muscle size, because you're often taking sets to failure. Drop your weight by about 10 percent on each successive set. One of the simplest training programs you can follow is called 10x10, sometimes referred to as German volume training (GVT). That's 10 sets of 10 reps (100 reps total) of a single exercise. In addition to being extremely simple, it's also highly effective. GVT was popularized in the 1970s in Germany, hence the name. The super-high volume is an important stimulus for muscle growth. Two decades ago, Finnish researcher Keijo Hakkinen, PhD, found that GVT produced dramatic increases in metabolic stress, a primary mechanism responsible for triggering muscle growth. In his article on German volume training, noted strength coach Charles Poliquin wrote, "[GVT works] because it targets the motor units, exposing them to an extensive volume of repeated efforts. The body adapts to the extraordinary stress by hypertrophying [growing] the targeted fibers." Poliquin added that mass gains of 10 pounds or more in just six weeks wasn't uncommon, even in experienced lifters. 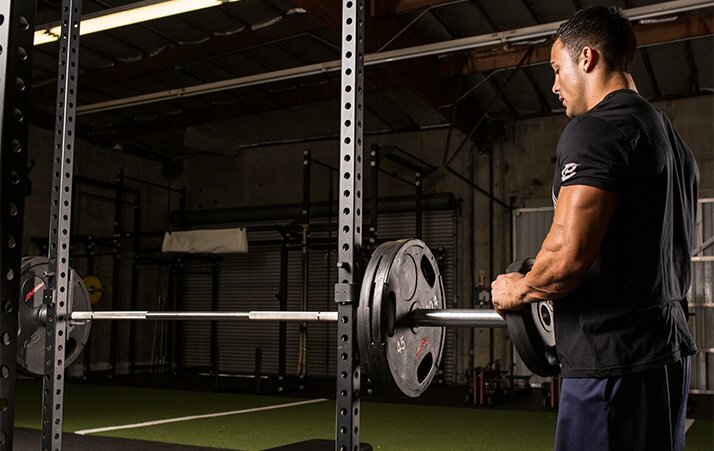 There are a few variations of GVT you can find online, but most are structured around a single major, multijoint lift (following a three-day-a-week split centered on the bench press, squat, and deadlift, for example). Dumbbells are more difficult to control than barbells, especially as you become highly fatigued, so go with barbell movements for the best results. Keep the motion explosive in order to maximize muscle-fiber recruitment. Start with a load that's your 15-20-rep max—the most weight you can handle while failing in that rep range. This weight will probably be 60-65 percent of your one-rep max. The working weight will feel light at first, but as cumulative fatigue sets in, you'll find you can't reach the target rep. A training partner can be useful on some exercises to help take the weight should you hit failure mid-rep. Don't push through with forced reps, however. Time your breaks at 90-120 seconds between sets, and be consistent. The goal is to complete 10 reps on all 10 sets. Once you achieve that goal, start anew with a heavier load. But discontinue this technique after eight weeks in favor of a more basic training scheme. The body requires a fresh training stimulus to continue making gains. You may still want to complete additional exercises for that body part during your training session. You can add 1-2 supplemental exercises done from different angles for 3 sets of 8-10 reps. The 5x5 protocol is similar, but the focus becomes strength rather than growth. You'll be doing one exercise for 5 sets of 5 reps. The weight should equal 85 percent of your one-rep max. You should be able to at least do the first 2 sets to 5 reps, but not the third; you may have to adjust the weight up or down 5-10 pounds for your next workout if that's the case. Once you determine the right weight, stick with it for all 5 sets. Your goal, over time, is to reach 5 sets of 5 reps. Having done that, start over again with a heavier weight. You can do this with up to two exercises for a given body part; all other exercises in your routine should be 3 sets of 6-8 reps. This approach can also follow a three-day-a-week split and is best discontinued after about eight weeks. Otherwise, you'll get stale. Cluster sets break the main set into several parts. "Instead of doing a set of 9 straight reps, you might do 3 reps at a time while resting no more than 20 seconds in between," says strength coach and Bodybuilding.com writer Josh Bryant, MS, CSCS. "That intra-set rest period allows you to lift more total weight than you'd be able to with straight reps, providing a greater anabolic stimulus." Rather than just doing a single set broken into smaller sets, cluster sets can also be done for time by constraining it to a short interval. In that way, you could do 5 reps with your 10RM weight for 4 straight minutes, taking a 15-second break between each work segment. The result: much greater volume in less time. "You won't be lacking intensity, as the relative intensity of training is greater when using cluster sets compared to traditional straight sets," says Bryant. "A traditional hypertrophy protocol might consist of 3 sets of 10 reps, which means you get a total of 3 first reps (one for each set you do)," adds Bryant. "You could do the same amount of volume and do 10 sets of 3 reps; all of a sudden, you've performed 10 first reps. To get better at your one-rep max, you need to train more first reps. This will also allow you to focus greater attention to technique on each individual rep and perform each rep with a greater amount of power." Bryant calls this approach a hypertrophy-specific cluster set. He adds that if you can no longer do 5 reps, drop it to 4 reps; if you can no longer do 4 reps, continue with 3. If 3 reps becomes unmanageable, lengthen the rest interval to 20 seconds. When that becomes too much, stop the set and move on to the next exercise. Shop EVL Products In Our Store!